Such a lovely end to a fabulous evening: all the dishes are finished, cuppa tea is steeping, Chet Baker on the radio, pouring down rain outside, fake aquarium playing on the television; couldn’t get better. Dinner with friends, again. The girls had their standard chicken and rice with edamame and aminos. Big girls had an amped up version of our traditional standby. Friend #1 requested cheddar biscuits. Friend #2 blurted in a text: WHAT HAPPENED TO OUR BELOVED BRUSSELS SPROUTS?!? And then she more than mildly suggested chicken, quinoa, and a chocolate dessert. 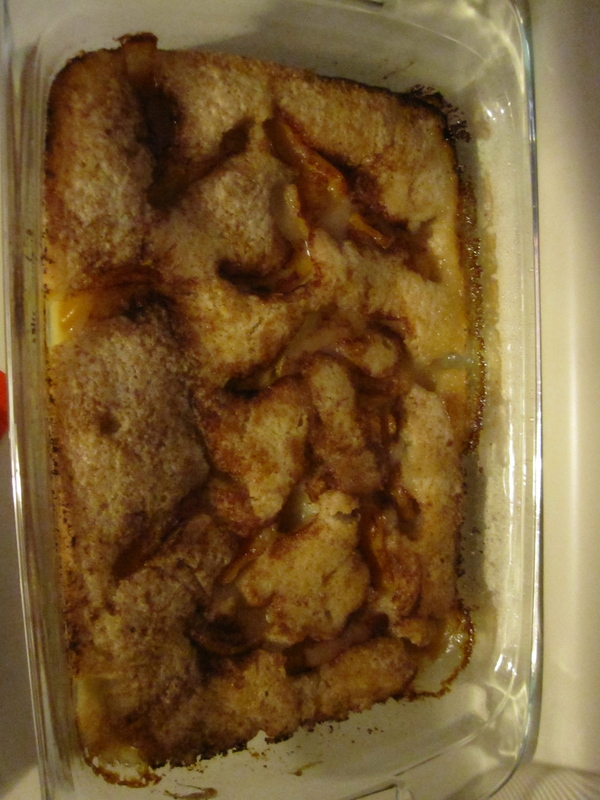 I managed all but the dessert; I opted for peach cobbler. She did not complain. 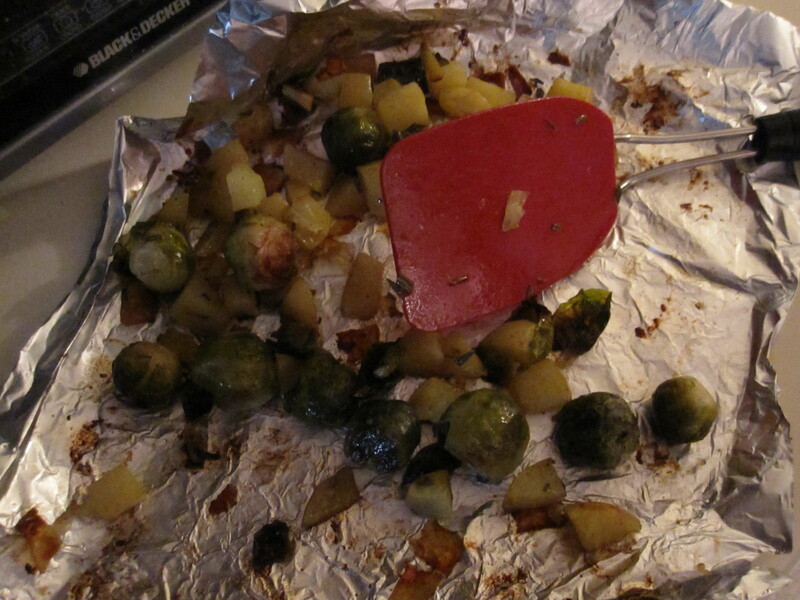 I added Yukon gold potatoes to the Brussels sprouts this time, with a bit of chopped rosemary. Absolutely delicious. Lemon slices would be good here too, roasted on 425 for about a half an hour. 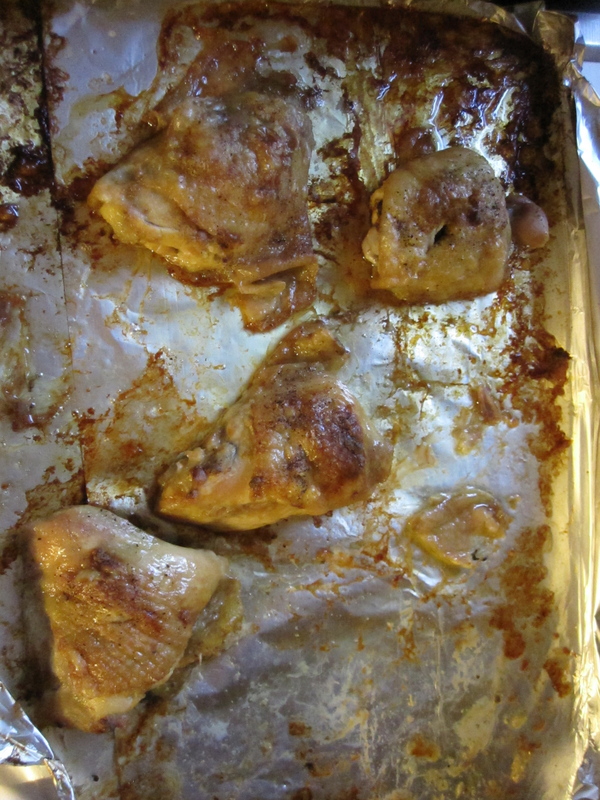 Chicken thighs with dijon mustard rubbed under the skin. Very mild flavor, incredibly moist, perfect size. 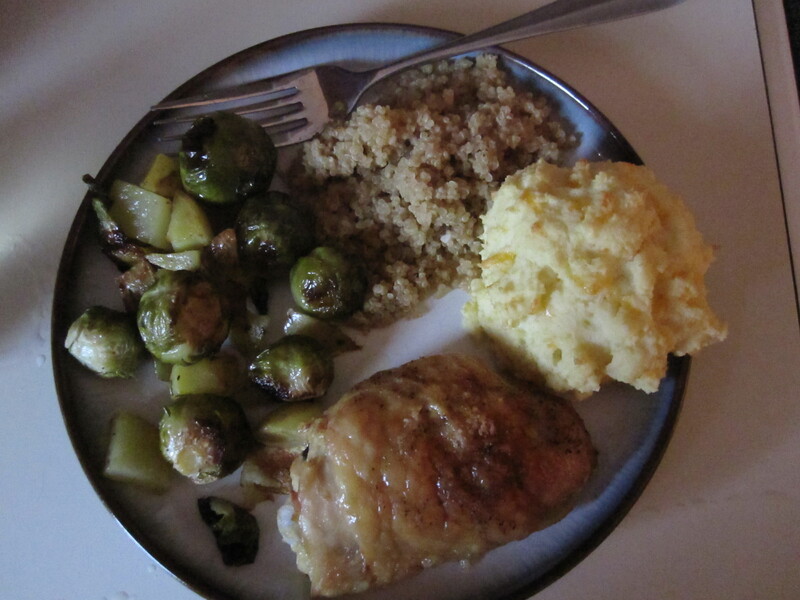 A little quinoa (which I feel guilty for eating now and hardly ever have it) and the infamous garlic cheddar biscuit. The potatoes were a lovely & a quite yummy added touch!!! Per usual, you’re amazing and a gem in the kitchen!!! Thank you!!! !